Private parties for a minimum of four party goers......bring your own food and beverages or let us provide them. Choose pottery, glass, jewelry, mosaics, paint-your-own, or give us a specific project to provide for you. Event hosted by Bootleggers of Millville and presented by Guttenberg Creativity Center. Unleash your creative side and make a new family tradition. We will be making our very own turkey or Christmas cookie platters! ​See our Facebook page to sign up and to make payment via paypal! Dinner 6 p.m. Painting 7 p.m.
Or an evening of delicious food, drink, and an entertainment experience you'll never forget, plus a unique gift for your Valentine? We think the choice is easy, so we've got a memorable February 14 planned just for you! Bring your BF, GF, or BFF to Kaffee 1858 & Public House in Guttenberg on Valentine's Day for dinner and a partner painting workshop. A surf & turf meal will begin at 6 p.m. with a glass of sparkling wine, appetizer, starter, main course and dessert. Painting starts at 7 p.m., when you and your partner will each be given a canvas, brushes, and a palette to create two halves of a whole painting. Instructor Molly Moser will guide you step-by-step toward your own personal masterpiece, which will correspond to your partner's so that you can hang them together in harmony or each keep one for your own space. Painters can even trade paintings with their partners for a one-of-a-kind Valentine gift. RSVP by Feb. 7 to reserve your spot and guarantee any dietary restrictions can be accomodated. Advance payment is required; cost is $20 per plate and $25 per canvas. Reservations in pairs are preferred. Call 563-252-2787 to RSVP. 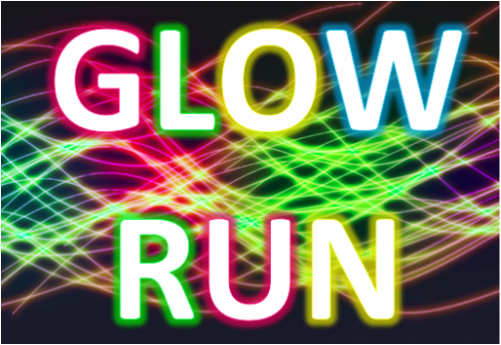 Friday, Nov. 3, 2017 6-8 p.m.
Show your glow and support the arts as you enjoy this 5K in scenic Guttenberg, Iowa! Meet at our historic limestone building and run or walk along the Mississippi River on flat, wide, paved River Park Drive. When you return from your run, we'll feed you and provide music and activities during a post-run glow party! Decorate a beer stein, a beard stein, or a franken-stein for Guttenberg's GermanFest! $30 includes your glazed and fired stein, a GermanFest button allowing you full access to the biergarten during the Sept. 22-23 event, and $5 fill-ups with 1 liter of German or domestic beer when you use your stein. Steins will be delivered to the biergarten tent for a 5-6 p.m. contest, where all steins are eligible to win prizes, determined by popular vote. Steins will be available for pick up and use starting at 6 p.m. on Friday evening and must be retrieved by 10 p.m. on Saturday night. Kids can get in on the fun, too! Kaffee 1858 & Public House has generously offered free fill-ups of root beer for youth steins during GermanFest. We have purchased a limited supply of youth steins available for schmucken for just $15. Steins will be available for schmucken anytime the Creativity Center is open through the conclusion of the River Park Cruiser's Annual Car Cruise on Saturday, Sept. 16. Stein Shmucken partieswill also be held at Kaffee 1858 on Wednesday, Aug. 30 at 6 p.m. and Saturday, Sept. 9 at 1 p.m. All steins will be kiln-fired and food safe. Walking tacos, grilled pizzas and more! Saturday, Sept. 16, 2017 10:30 a.m. Lunch served by our new, youth-driven Courtyard Cafe! Local youth have been hard at work surveying the student body, developing recipes and planning to open the Courtyard Cafe. Support their kickoff with walking tacos, grilled pizzas, coffee drinks and smoothies during the River Park Cruisers annual car show and cruise! Artwork on display: Shop the gallery for one-of-a-kind jewelry, pottery, glass, prints and paintings. Check out our newest artist, Jenna Lueck! Stein Schmucken The last day for the first annual Stein Schmucken contest will take place during this event! Decorate a beer stein, a beard stein, or a franken-stein for Guttenberg's GermanFest. Join us for lunch and live entertainment on Sunday, Aug. 13 as we wrap up Celebrate the River in Guttenberg. Local favorite Carpe Diem will play original music and old favorites. Kaffee 1858 will serve grilled pizzas and native Iowa wines will be available. Check out our new collection of mermaid artwork especially for celebrating the river! Turkey River Farmers Pete Kerns and Natasha Hegmann will lead a demonstration in the courtyard on Wednesday, Aug. 2 at 6 p.m. using ingredients fresh from their farm to make grilled pizza. Turkey River Farm is a small farm in the heart of northeast Iowa that produces maple syrup, pastured heritage hogs, and vegetables for the community. Pete and Natasha have a booth at the Guttenberg Farmers Market every Saturday and also offer a CSA. Learn to make grill-friendly pizza dough, prepare two different sauces and use fresh, seasonal vegetables for toppings. Enjoy complimentary samples of Pete and Natasha's creations, or bring your appetite and order pizza for two for $8. Native Iowa wines from PromiseLand are $14/bottle or $4/glass. Celebrate your mother with live music by local favorite Carpe Diem and a delicious spring brunch! Reservations recommended in advance by calling 252-2787. Serving chicken piccata, multigrain pilaf, mocha cheesecake, and beverage, 11 a.m. to 2 p.m. $15 per plate with complimentary gift for all mothers! We're bringing you more live music this month as our courtyard concert series continues with father and daughter duo LaBarge of Harpers Ferry. 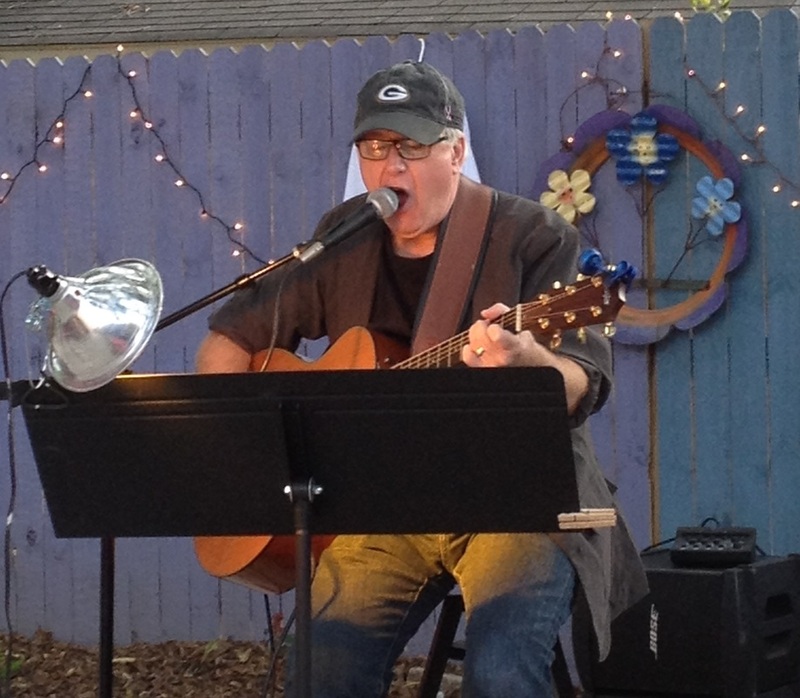 Roger LaBarge and Mandy LaBarge play original music as well as a variety of rock and roll and other classic hits. The award-winning pair has played all around Northeast Iowa and have shared the stage with the likes of Joe and Vickie Price and Dave Moore. Listen to LaBarge in the courtyard on Saturday, Sept. 10 from 6-8 p.m.
$30 per person includes dinner and entertainment; reservations with prepayment required. Songs you've heard and songs you haven't from Cat Stevens, The Beatles, and other favorites - including original songs by lifelong musician Bruce Bryant. Open to the public; reservations not necessary. $3 cover charge (waived for Monet level members). Guttenberg resident Billie Smith maintains a collection of Native American artifacts he's found in the area, which will be on display at Guttenberg Gallery and Creativity Center during Celebrate the River this year. The collection can be viewed Friday 1-5 p.m. and Saturday 10-3 p.m.
After a heavy rain, a young Smith discovered an arrowhead in the Millville area. “The very first one I found was when I was six years old,” remembers Smith. It would be the first of many, a welcome addition to the collection of arrowheads, scrapers, drills, grinding stones, bone tools, and other artifacts found around the Smith family’s century farm on Pumpkin Ridge. Smith’s grandparents traded with Native Americans, who traveled up the Turkey River by canoe. Eggs and chickens were exchanged for blankets and baskets, which were used and enjoyed by the couple. “My grandmother had a woven basket with handles. She always gathered eggs with the darn thing,” chuckles Smith. Smith does much of his own research, studying each piece in the collection. He’s learned about the ways various tools were made by Native American tribes, especially the Sac and Fox that lived in the vicinity. “Each tribe had a different way of making arrowheads,” he says, gesturing to diverse points and barbs framed on his wall. Scraping tools made from flint and chert border the ceiling; these may have been used for preparing animal hides. Thin, pointed bone tools, he suggests, could have stitched those hides into useful items. The mystery seems to intrigue Smith. “You never know where you might find an arrowhead,” he says, musing over the way a single arrow could be transported by a wounded animal for miles. Although the century farm is no longer in the family, Smith carries on another family tradition; one of interest in stone clues left by the people who once called this area home. Thursday, May 26, 6-8 p.m.
Join in the celebration as we officially open for the 2016 season, kicking off the summer with a gourmet dinner in the gallery - or even in the courtyard if weather permits! Guests will be the first to view our opening exhibition, sharing the work of our talented after school art program teachers from the 2015-16 school year! Cost is $30 per plate, including a glass of wine. Advance reservations required; call 563.252.2787. On Friday, February 12, 2016 Rabecca Hennessey will be preparing a delicious gourmet meal for you and your sweetie. Join us at the Guttenberg Gallery for an unforgettable night of drinks, food and live music! This is a Thrivent sponsored event. Winter break workshops for ages 4th through 8th grade were held on Tuesday, Dec. 30, 2014, from 1:00 to 5:00 p.m.
1:00 Kids on Canvas: Students will start and finish an 16x20 canvas acrylic painting. 2:00 Fairy Houses: Create an elaborate fairy house and garden from miniature bits and pieces. 3:00 Wheel Pottery: Take turns learning to throw pottery while classmates make sculptures. 4:00 Painting with Glass: Choose an image to recreate on glass with special glass paint. Individual workshops are $20 each, or $65 for all four. In anticipation of the 25th anniversary year of Home Alone, two young women with Guttenberg roots filmed a full-length reinterpretation of the 1990 holiday classic, playing almost every character themselves. Liz Smith and Kari Houghtelling filmed over a three-day weekend during the Polar Vortex of 2014, using Guttenberg as the backdrop for the majority of scenes. About 140 people attended the red carpet premiere of this film, an event to honor Christmas, friendship, ingenuity, community, and family. The premiere was hosted by Shepherd Gallery and Creativity Center in the adjacent Rathskeller, the former location of the popular 1970s bar, on Friday, December 19. 7:00 pm Doors open for a red carpet entrance sure to be attended by paparazzi. Dress is semi-formal or holiday. 7:00 - 9:30 pm Reception featuring sparkly drinks, appetizers, and food from the movie. Activities will include Home Alone crafts, trivia, and an opportunity to meet the filmmakers and cast. Film screenings were held at 8:00 and 9:30. All proceeds from the event will benefit the Creativity Center's after school art program. Join us for a celebration of classic cars on Saturday, September 13 during Guttenberg's 16th annual River Park Cruisers Car Show. The show is from noon to 2:00 p.m., but we'll keep the party going with live music in the courtyard by the Steve Eagle Band from 12:30 - 3:30 and wine tasting by Park Farm Winery from 1:00 - 3:00 p.m.
Commission a work of art based on your car! During the car cruise, Shepherd Gallery will feature classic car art by Dan Hatala, a native Iowan who has spent a lifetime working in commercial art and illustration for clients including the U.S. Airforce, Ducks Unlimited, Budweiser, and many others. Hatala's works will be available for sale, but he's offering a special service to car cruisers that day. Hatala will be on-site Saturday and is taking commissions for those who'd like a unique piece of artwork based on their own classic car. The artist will meet with you to discuss the potential artwork and take photographs. Commission meetings must be set up in advance and can be arranged by calling Shepherd Gallery at 563-252-2787 or by emailing us. The reCycle Sculpture Project invited businesses, individuals, families, and organizations to create sculptures in to welcome RAGBRAI in the summer of 2014. Winners were Tom Augustyn and Norma Thiese. Click here for pictures! Who are the ARTISTS in your neighborhood? Join us as we work alongside local artists as they teach us amazing techniques such as painting, sculpture, drawing and more. Take home masterpieces that you created or enter them into the Clayton County Fair. This camp run Monday-Thursday from 9:00 am to Noon. Each camp is $20 for non-4H members or $10 for enrolled 4H members. We're bringing back our beginning art program for 3-5 year olds! Start Art is a 5-week beginning art program for children ages 3-5. In each session, there will be five stations with various simple projects for children to experience. Your child will explore painting, sculpting, collaging, and more in a variety of unique ways. Cost is $8 per class or $30 for all five sessions. Sessions meet 9:30 to 10:30 a.m. on Thursdays July 10 through August 6. Limit 12 students. Roger and Judy Westemeier have been carving for a combined 40 years. They travel to craft shows every year, teach classes, and enter competitions. Roger has been teaching classes since 1999, when he began teaching at Boy Scout Camp CS Klaus and James Kennedy Public Library. The pair will teach a Beginners Carving Class on Wednesday evenings July 23 through August 6 from 5:30-7:30 p.m. Students will carve and paint a four-inch bear from a blank. Adults and children ages 12 and up are welcome to attend. Cost is $40 and includes finished project and carving tools. Limit 10 participants.